My son has just started an apprenticeship scheme in Canary Wharf and we live in Dartford. The cost for standard travelcard is £55 p/week circa 30% of his weekly wage. If we lived in a London Borough he would receive discounted travel as an apprentice however as we are just outside it he just misses this benefit. Are any of you train loving people aware of any scheme that he could sign up to that could reduce his travel costs? Before you all start, no, I am NOT moving. 18-25 (or 18-30 I think now) travelcard might help? It’s 16-25 and gets you 1/3 off of rail fares. Thanks, he needs to travel during normal rush hour and what I believe from a rail card is that it cannot be used during peak travel. 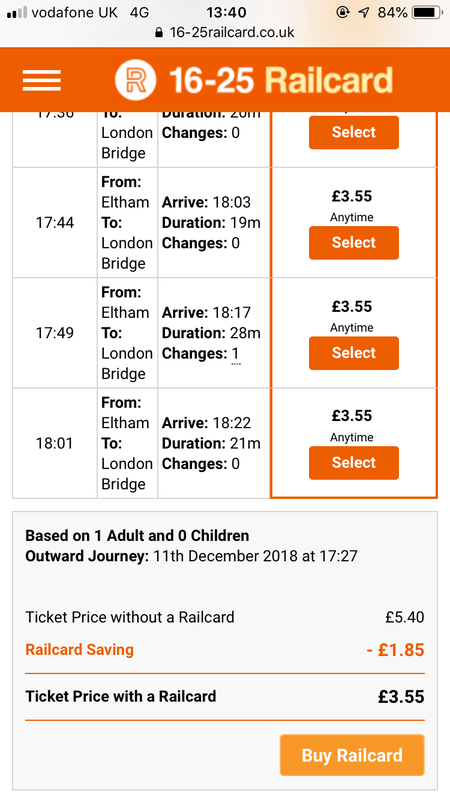 Not sure that’s true - I just used their site and it says that with a rail card a normal rush hour ticket from London Bridge to Eltham would be £3.55 rather than the normal £5.40. How many days and hours a week is your son going to be working? It seems like his salary might be less than the statutory minimum wage. In which case they should be paying him more; or, at least, be persuaded to cover some or all of his travel costs. 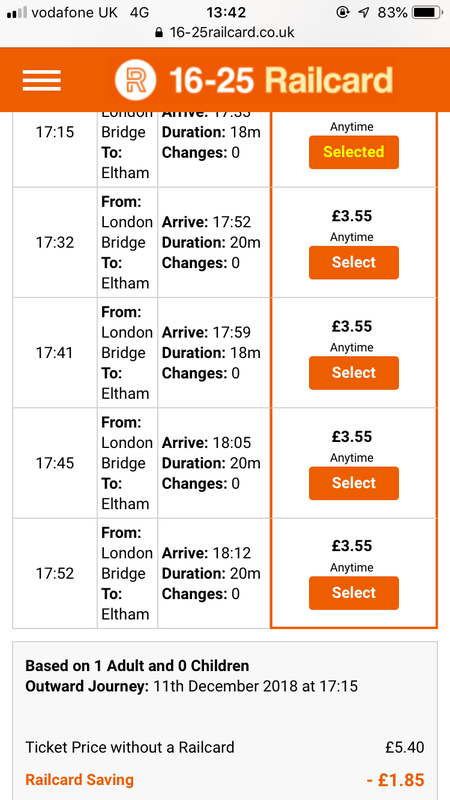 Just checked the railcard website and 16-25 railcard covers these fares. 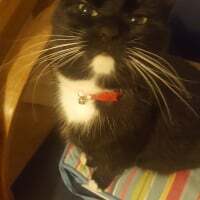 Forget all that, it doesn't cover Travelcard Season Tickets which is what he wants, apologies. The statutory minimum wage for an apprentice is £3.70 ph - seems they are meeting that. It should at the very least be that + expenses, crazy otherwise. I can see that this is where this is going but i want explore any other opportunity first before putting my hand in my pocket. when i was an apprentice i was paid 582 a month and my travel was around the 172 mark, but the longer i stayed the higher my wages went up. we have apprentices now and do not cover there travelling becuase ultimately a fully qaulified plumber can earn 28-40k a year. There is no question that if/when he is allowed to get to the end of his apprenticeship he will earn well and the cost of travel won't be an issue. but if you are learning a skill for life i don't think 70/30 split is that bad obviously i do not know if you charge rent etc or nor is it none of my business. Not really got any money saving suggestions I'm afraid. However, it's worth bearing in mind that fare evasion is much less frowned upon that it used to be, and actually applauded by many, as most commuters have now recognised that South Eastern Trains have been thieving of us all on a daily basis for years whilst providing a "service" which most people wouldn't use if they were paid to do so, if they had a viable alternative. Not sure what the ticket barrier situation's like at Dartford, but if you can sneak him on at that end without a ticket, he could get a train to St Johns (no barriers, no inspectors) and then walk 5 minutes to Deptford Bridge and get the DLR to Canary Wharf in 12 minutes. Good luck! The barrier is usually in operation and staffed with plenty of employees looking at their phones and occasionally looking up to see if any customers might need help. Difficult to get through without a ticket though. Slower but cheaper. When I lived at home in Dartford I sometimes travelled from Crayford instead for that reason. He is fortunate that we can support him, to an extent. He could cycle. Either all the way or to an intermediate station. 55 quid a week sounds a lot but the real price is using southeastern trains. Maybe not if his training is classroom based. Pannier bags or cargo bike would cater for that.